For most of my life I struggled with my always be good endeavor. To be good enough, perform, deliver, and so on …. Unfortunately, it has also made its mark in my photography, until very recently when I returned to photograph with film, discovered Lomography and at the same time discovered this wonderful world of inspiration on the Internet. Then my desire to try new things awakened, to explore areas of photography, of which I had never earlier actively approached. So a few months ago I bought this little lovely yellow and black plastic box with no lens, but with three pin holes. The only setting that is possible with this small joy spreader is if I want to use one, two or three pin holes simultaneously. There is no shutter, only a small plate which cover or uncover the pin hole. The exposure is a challenge…. One thousand one, one thousand two, one thousand three ….. Yes, you get the picture ….. If I use multiple pin holes at the same time, the result is slightly psychedelic, which of course can be used in a very creative way. IF I am learning to manage it properly, ie …..
Until that happens, I will only embrace the pleasure of loading beautiful film in this exquisite little plastic container …. For purely tangible, I realized what wise saying “Only those who goes astray, find new paths to wander” means. WOW! I’m loving what you’re doing…heaven help me if I “discover” film photography. I will have you to thank/blame. 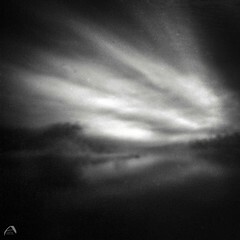 I’ve been experimenting with Lensbaby, and one of the more challenging “toys” is the Pinhole/Zone Plate optic. I’m a real novice at all this but it intrigues me. And yes, it is so very fun and rewarding. Just the feeling of being right here right now is kinda awesome. I burnt myself out earlier, and this is my best therapy ever! I am hugely impressed. You are so patient to do this! Lovely shots. Love the effects you are getting with your little plastic camera…..I shot with film for years, but very traditionally. This is great. Marie, I am so impressed with both your new blog and your photography! I too have been recently tugged back into the world of film; it’s so much fun! Keep up the good work! That is great, it is so rewarding with film. lovely, lovely, I love the effect of Lomo photography, I wish i had somewhere to develop my own…. These shots are so beautiful!! 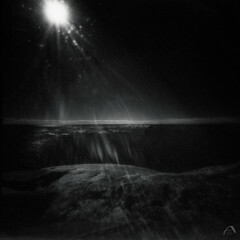 I absolutely love film photography myself and have been so tempted to buy a pinhole camera… This may push me to do so! 😉 Thank you!! Ohh, thank you very very much! And that is fantastic, please let me know if you do! I’m really honoured by your kind words! Being able to inspire others is my dearest wish with this blog. wow!!!! I love your photos!!! 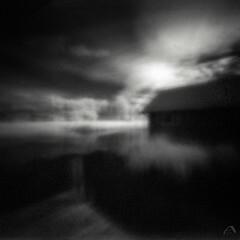 This pinhole set is amazing! !